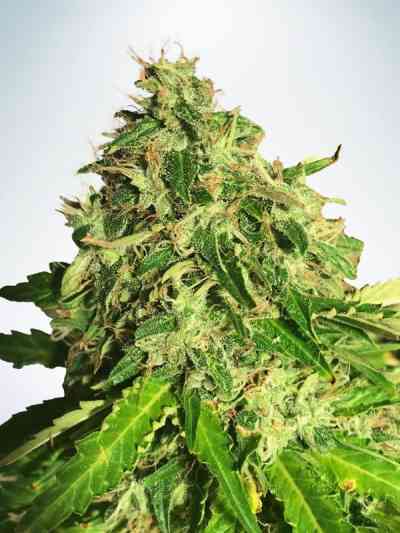 Chem City Blues is a lovely hybrid of two of Mephisto Genetics mainstrains - Auto Blues x Chemdogging. She grows between 2-3 feet, producing nice zig-zag branching and elongated colas. It's one of the Mephisto Genetics team's favourites to bust up the dried flowers and smell the many complex aromas she gives. 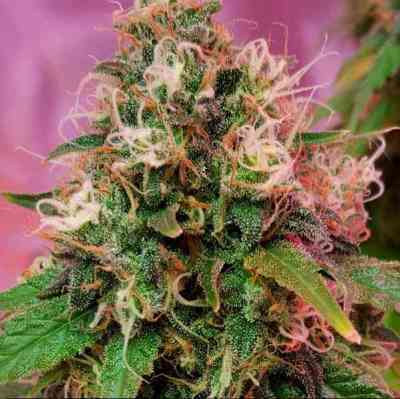 She has the raw funky chem influence infused with all kinds of fruits and flowers, dark berries to peaches. With a good environment she can surpass 3 ounces of flowers per plant. The quality is high and she's one you'll come back to again and again.